Have a question you need specialist help to answer? Our Connect Live service is the best way of getting help in a wide range of subjects including Maths, Chemistry, Physics, Business Studies and more. 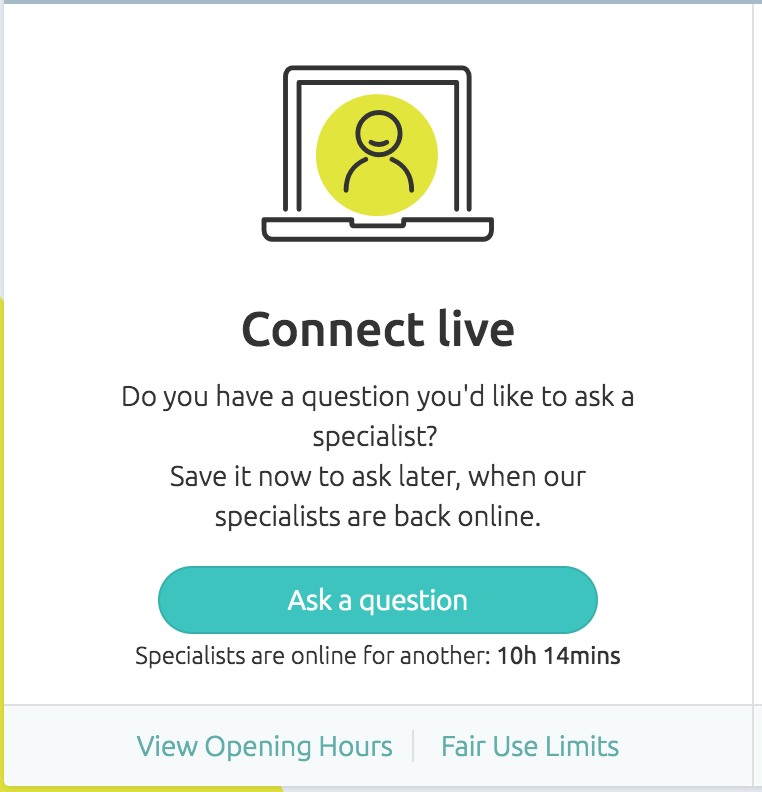 To connect live with a seriously smart person who can help you work through your question, click on the 'Ask a question' button on your account homepage. If our live service isn't open, you won't be able to click this button. You will see the countdown timer underneath the button, so we suggest you put a reminder in your phone to come back when the service reopens.